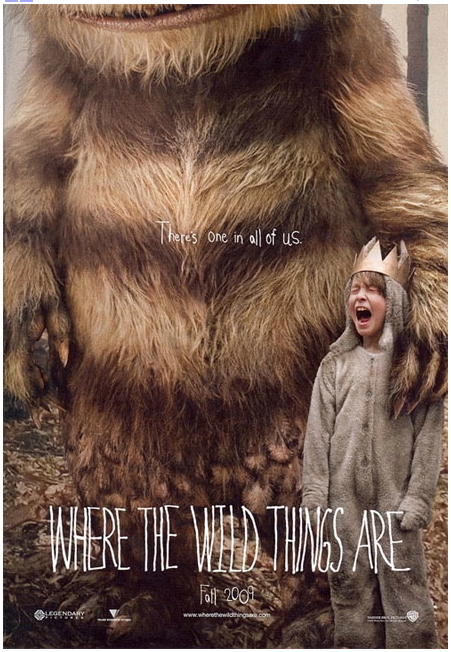 It's the 'Where the Wild Things Are' Promo Poster! 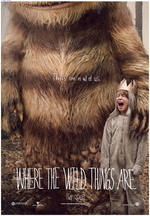 Every US kid born in the '80s probably had Where the Wild Things Are read to them at some point. It's an infectious(ly illustrated) story about a kid called Max who likes wearing scary animal costumes and being all growly. One day, after some horrible little-boy shenanigans, he's confined to his bedroom, where he explores a universe of wild but benign creatures. He is ultimately made King of All the Wild Things. A few years ago Spike Jonze signed on to make a film adaptation of the book -- one of those things that gives us chills and seems too good to be true. But hey, it's not: at your left is the official poster. Perfect, right? We thought so too. Though for some reason we always imagine Max with facial hair. Tagline: There's one in all of us. Film comes out this October. More about it all here. uhh, the book was originally published in 1963 so let's not only include the children of the 80s. we older folks get a bit cranky.